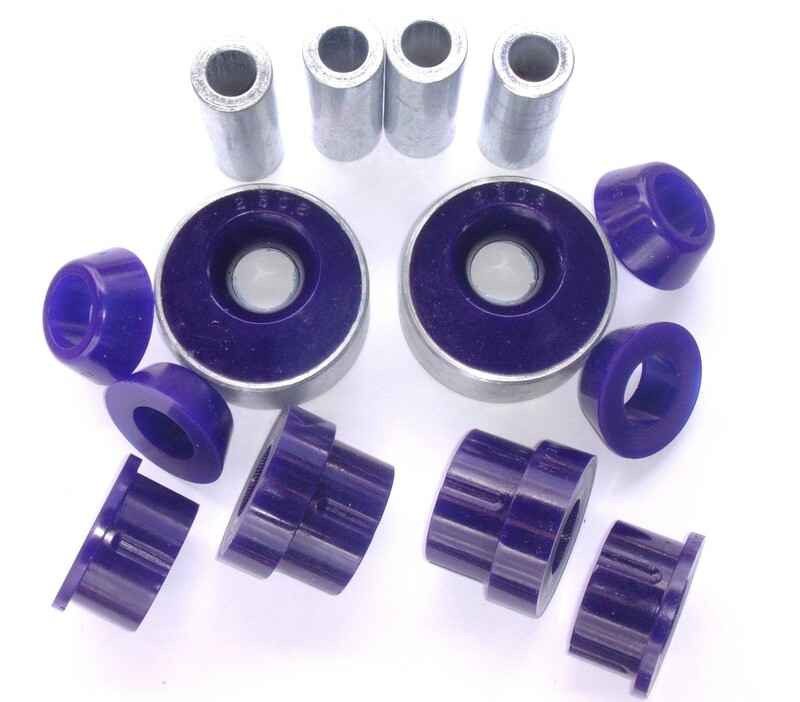 2JR introduces a special line of Front Lower Control Arm bushings for your B15 (all models). We contracted SuperPro to make the front LCA bushings in its highest durometer available at 95K for the front bushings. This is a 200% improvement over stock and 140% stronger than ES bushings and standard SuperPro bushings. For the rear section of the LCA we added double caster offset bushings set in a steel sleeve with 95K duro interference bushing to keep the Rear LCA mount solid and prevent any flex under load. Increased caster provides straight line stability. These are the best street/strip LCA bushings we've ever tested. In stock and shipping daily.